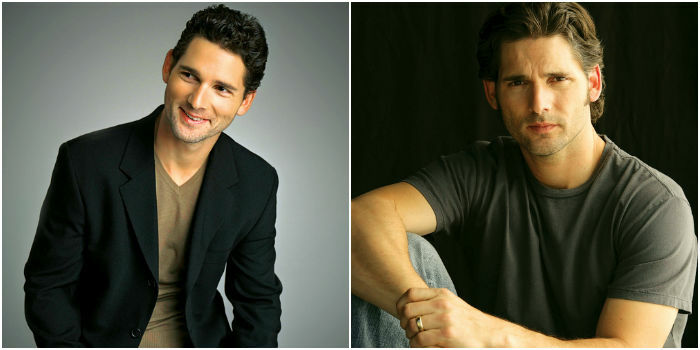 Playing a soldier yet again (he debuted as Hoot in Black Hawk Down), Eric Bana wanted to be part of Lone Survivor at any cost, no matter what role he got. The film, directed by Peter Berg, is an adaptation of the non-fiction book by the same name written by Marcus Luttrell. The brooding Australian gets candid about his role of Lieutenant Commander Erik S Kristensen, the leader of a SEAL teama��s quick reaction force (QRF), the emotional impact of the film, why he chooses directors with intense passion and the experience of having Navy SEALS on set. What made you say yes to this film? I was a really big fan of Marcusa�� book. When I heard that Pete (Peter Berg) was adapting it, and he called me up to see if I would consider playing Commander Kristensen, I jumped at the chance. I said yes right away not only because I love the book and Petea��s work over the years, but I also have a bit of a fascination with the Special Forces community. They perform an amazing function. What makes Lone Survivor stand out? We all make different kinds of films all the time. I knew going into this, that this is one that would feel very different to make and feel very different ten years from now from the other films we make. That doesna��t come along every day. What was it like having SEALS on sets? For me, it feels like an acrobat having a safety net. It gave you the confidence to tackle what was put in front of you, knowing that if there was a mistake or something that wasna��t right or inaccurate, it would be picked up. Therea��s a degree of comfort to that, even though we were shooting very fast. Pete was quick on his feet in terms of interpreting various pieces of information that would come flying in from the guys on the set. The responsibility of portraying a real-life incident. There is the danger of it being a little overwhelming. I always thought that the only way that we were going to be honouring these people was by making a great film; that if all our intentions to honor them were going to amount to a film that was super accurate, but not a great film, then we would have failed. Pete had to strike that balance to be respectful to that memory, but at the same time it has to work as a movie. Ita��s not a documentary. Marcus (Luttrell) was very involved. I was at home in Australia when I got the call, and I did my prep from afar. I even missed meeting Erik Kristensen and arrived at the shoot half-way into filming. So my job was to really concentrate on what Erika��s role was within the story, and just the processes of the chain of command and ranking and the logistics of the operation. So I concentrated my time into that area. Obviously, Petea��s been a huge influence from Day 1 with Friday Night Lights to Battleship to this, so hopefully Ia��ll work with him again. I just love the way he tells stories and with Lone Survivor it is just exemplified. I think this is his legacy and I think it is just going to be an amazing thing for him. Ia��m so proud and pumped for him that I hope I can be a part of something else in his future. Lone Survivor is scheduled to release on February 7.